First Position is committed to helping children rise, not only those who skip in and out of it’s doors, but also those unable to. In 2016 we decided to begin raising funds towards our next trip to perform at Disneyland Paris, as not all pupils at the school can afford this opportunity. In the past, parents have had to fund themselves to join their children on this trip, but Miss Natalie decided to remove any financial issues for the families who want to take part, by focusing all our fundraising efforts up to 2018 on DISNEY!! 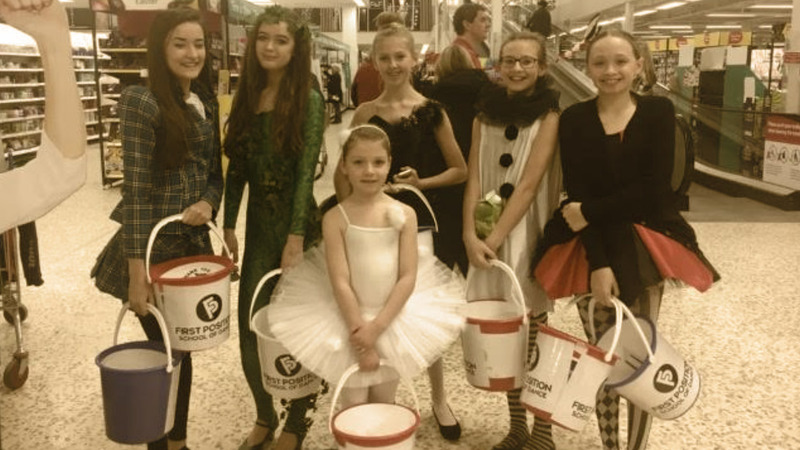 Fundraising experiences also help the children realise the value of money, PLUS we have so much fun in doing it!